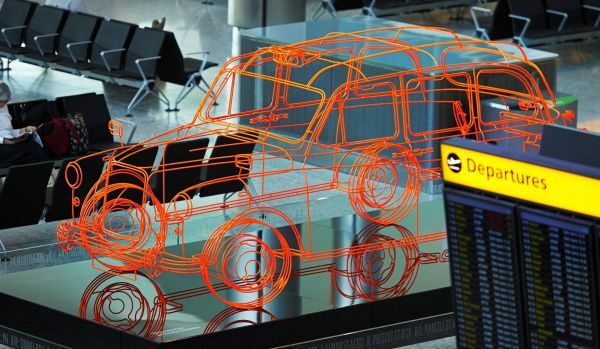 Created by London artist Benedict Radcliffe, ‘London Taxi’ has been unveiled in the departure lounge at Heathrow’s new T2. BTN will refrain from an observation but one wag has already commented that it is rather like a taxi fare. Somewhat transparent.